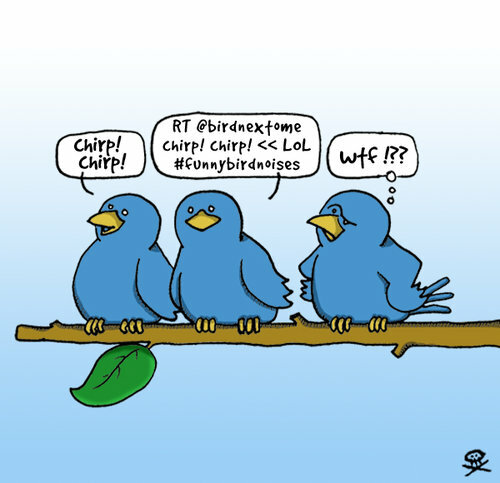 Tweeting Can Be Fun Too! Tweeting does not always have to be about reading 140 characters or searching for interesting tools or techniques to use in the classroom or trying to make connections to strengthen your PLN. Tweeting can also be fun – or at least the way we view the tweets and their impact around the world. Using some of the free tools that are available online, you can visualize tweets in different ways and this might even help to attract the tweeting interest of students and staff. This post will discuss some of those tools as well as provide links to other tools that you might want to explore yourself. Create a stunning display of tweets based on keyword, user, location, etc. using Twitter Fountain. Twitter fountain lets you make a selection of tweets and images and present them in a visually attractive fashion. Twitter fountain is a free service, but for professional users we offer some paid options that give you even more control over the way your fountain looks. Simply create an account to get started. You can them share your fountains by embedding them or sharing the link to your fountain. My quick fountain I created using the words IPad and education – I found out the hard way that WordPress.com doesn’t play nicely with the embed code from Twitter Fountain. If you are a map lover there are several tools (you can even mash up your own in Google maps) that will show you literally where tweets originate from. 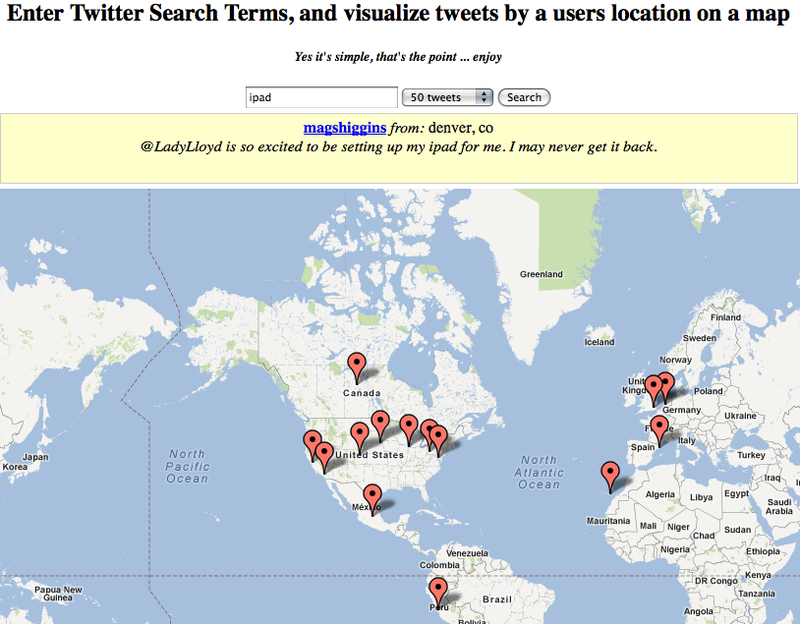 TwitterMap is one such tool. It is very simple and easy to use and you can view up to 500 tweets by keyword. Below is a partial screen shot of the term IPad that I created… Simply point to the pins and the tweet is displayed above the map. Where In The World Dos My Tweet Go? Have you ever wondered where our tweet goes after you press the TWEET button? Once we press that button it is now public (unless you protect your tweets, but that kind of defeats the purpose of Twitter.) We know that our followers might read the tweet and some might retweet or reply. What we don’t know is what the followers of our followers do with the tweet or how many people searched for it and found it and then did something with it. Now with a new tool Where Does My Tweet Go? (the website tool is not live yet but you can view a demo) we can see the true reach of our tweets or other tweets. You can follow them on Twitter (@WDMTG) to know exactly when the tool becomes live. This is a WebGL enabled tool so you will have to have the latest version of Firefox and Chrome (Sorry IE folks – you guys really should stop using that.) and if you have Safari just make sure that you enable WebGL. Below are just some other lists of various tools that will help you visualize tweets and the Twittersphere.